On October 16, the Newtown Parent Connection, in partnership with the Newtown United Methodist Church, is hosting a free screening of the documentary Generation Found and a Q&A to follow with the film’s director, Greg Williams, from 7 to 8:30 pm. The documentary chronicles how the Houston, Texas, community comes together to create a youth addiction recovery support system. NOTE (Monday, September 17, 2018): This story has been updated to reflect an extended registration for Family Fun Night on Friday, September 21. Mr Hemingway was an early supporter of the NPC, having spent at least eight years on the group’s board after learning about the important work being done in the community when he was a council representative. Mr Hemingway said when he was elected president of the local Rotary, he did not have time to give his full attention to the NPC, so he left the board. But he did so at an optimal time, as several brand new members were just coming on. “We were at a good spot. The new facility here at Fairfield Hills was done, we were getting a lot of new and energetic board members, and everything was in a good place,” he said. Serendipitously, when the immediate past NPC Chairman Christopher Lyddy decided to move on, Mr Hemingway’s term with Rotary was just ending, and Ms Carolan asked if he would be interested in a leadership role. 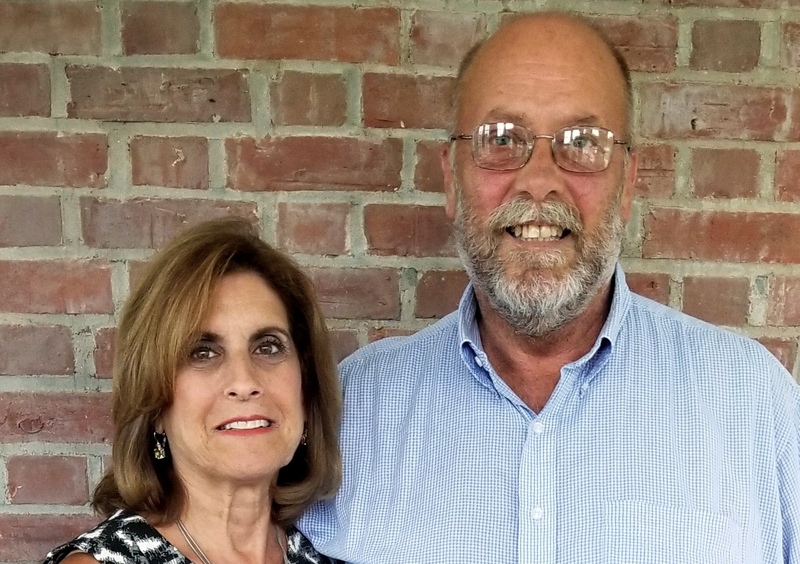 “He posted on Facebook that his term with Rotary was up, and it took me about two minutes to reach him and ask if he would consider coming back to chair the Parent Connection,” Ms Carolan said. “It was interesting, because I was at a regional Rotary event in Burlington, Vermont, and we were hosting a speaker on the opioid epidemic,” Mr Hemingway said. Ms Carolan said she was thrilled to not only know that Mr Hemingway could bring his talents to the NPC, but that he would be joining with the Elks Club, which had just awarded the NPC a grant for outreach activities tied to preventing substance abuse. In his departure message, Mr Lyddy recalled how he come to the NPC 15 years earlier after experiencing the death of a high school classmate. “Shortly after I returned home from graduate school in 2007, I officially joined the Board of Directors,” he said. As an elected 106th District State Rep, in 2012, Mr Lyddy approached the Governor’s Office of Policy and Management and the Department of Social Services to explore reassigning a $500,000 grant to the Newtown Parent Connection that was previously awarded to Kevin’s Community Center but was not going to be used to develop a clinic at Fairfield Hills. Mr Lyddy was eventually able to get that grant transferred and applied to developing the NPC’s new headquarters at Fairfield Hills. At the time, Mr Lyddy said then First Selectman Pat Llodra was hoping to turn the Washington Square area of the campus into a neighborhood of social services for the community, “so this fell right in line with her goals,” he said. The NPC, under Ms Carolan’s leadership, has greatly expanded its programming and reach, introducing its effective contacts to families across the region whose loved ones were in the grip of addiction and bringing its various support groups to the communities of Fairfield and soon, to Danbury. On October 11, from 7 to 9 pm, the NPC, with the support of Danbury Elks Lodge 120, is hosting a community conversation raising awareness of the opioid crisis, featuring John Hamilton, Chief Clinical Outreach Officer, Mountainside Treatment Center. The event will include an expert panel of Danbury professionals who will also discuss the impact of addiction on the Danbury community and impart information about addiction, treatment options, and pathways to recovery. The free October 11 forum panel is expected to include Detective Lieutenant Mark Williams of the Danbury Police Department, Matthew Cassavechia, director of Danbury Emergency Medical Services, and a community member living in sobriety. In another new partnership with Pastor Lori Miller and the Newtown United Methodist Church (NUMC), the NPC is presenting “A Spotlight On Addiction,” Sunday, September 30, at 11:30 am. The free event, open to the entire community, will address how addiction has become one of the most significant issues affecting Newtown. A panel moderated by Alison Fulton and featuring Dr Charles Herrick and a representative from the Newtown Police Department will hold an open discussion on this growing crisis, which is expected to claim more than 1,000 lives across Connecticut this year. Ms Carolan and Pastor Miller are hoping to see many community members come out to learn how to work together to keep our community safe. A light lunch will be served at 11 am, with the panel commencing at 11:30 am. Childcare will be available. Then, on October 16, the NUMC is hosting a screening of Generation Found and a Q&A to follow with the film’s director, Greg Williams, from 7 to 8:30 pm. The documentary chronicles how the Houston, Texas, community comes together to create a youth addiction recovery support system. On October 30, the NPC and NUMC are hosting free Narcan training from 7 to 8 pm. Free Narcan kits will be available, and also can be distributed to those covered by insurance. Attendees are asked to bring an insurance card, if covered. Narcan (naloxone HCl) Nasal Spray is the first and only FDA-approved nasal form of naloxone for the emergency treatment of a known or suspected opioid overdose. Pastor Miller told The Newtown Bee that her congregation had been learning about the NPC’s work and how Newtown as a community has been responding to the opioid crisis and substance abuse. She said one of the things that the church leadership determined was that the NUMC should be more engaged in issues affecting Newtown, and Ms Carolan met with our Mission and Outreach committee and developed this program that would follow our Sunday worship but would draw attendees from all over the community. Prior to that, the NPC is hosting its annual Family Fun Night, September 21, from 6 to 8 pm, at Reed Intermediate School, in partnership with Newtown Prevention Council. Admission is $3 per person, and children under age 2 are free. The event includes a ziti and meatball entrée, salad, refreshments, and Ferris Acres ice cream sundaes for dessert, DJ dancing, games, a representative from the Newtown Police Department, the “Balloon Man,” and face painting. Tickets may be purchased online at newtownparentconnection.org or at Dr Baum’s office at 23 Church Hill Road. Tickets will not be sold at the door. Registration for Family Fun Night needs to be done no later than Tuesday, September 18. "We need to plan for who will be there," Ms Carolan said. "We need to get numbers to the caterer." NPC is also holding one of the year’s biggest fundraisers to underwrite its programming and support groups. The 8th Annual Kevin J Carolan Memorial Golf Tournament is set for Tuesday, October 2, beginning at 11 am, at the Golf Club at Oxford Greens in Oxford. The event will conclude with a cocktail hour, dinner, and awards at 5 pm. A range of ticketing options are available for the golf and evening activities, either separately or together, as well as a variety of sponsorship options. For information on all the activities, support groups, and opportunities to partner with the NPC, visit newtownparentconnection.org or contact Ms Carolan directly at 203-270-1600.